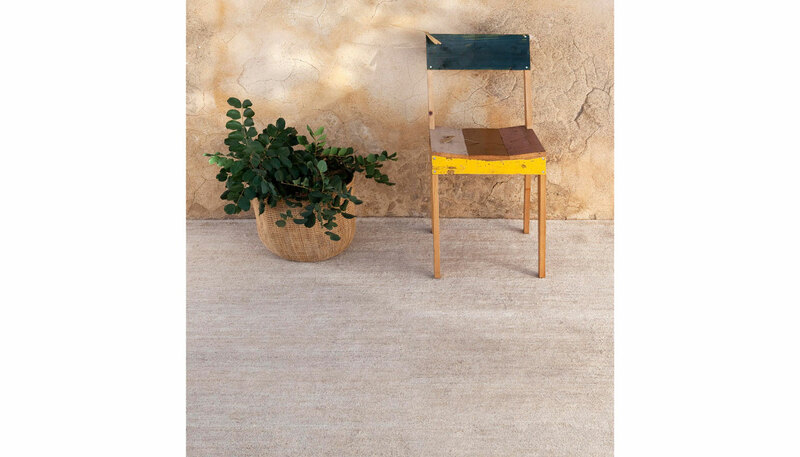 Hand knotted rug created in 100% hand-spun Nettle. Although it is considered a ‘weed’ botanically, nettle has several medicinal properties and it is also used as a textile fiber. Grown mainly in Himalaya, China, India and Burma, nettle’s fiber is greatly appreciated for its softness, resistance and its similarity to vegetable silk. The transformation process of the herb into thread requires a complex firing, mixing the fiber with ashes and spring water. Manufactured by Nanimarquina.